Mr Leon Taylor: Coatesville Artist makes it big in town - "I saw myself at 50 not doing something I wanted" . Coatesville Artist makes it big in town - "I saw myself at 50 not doing something I wanted" . 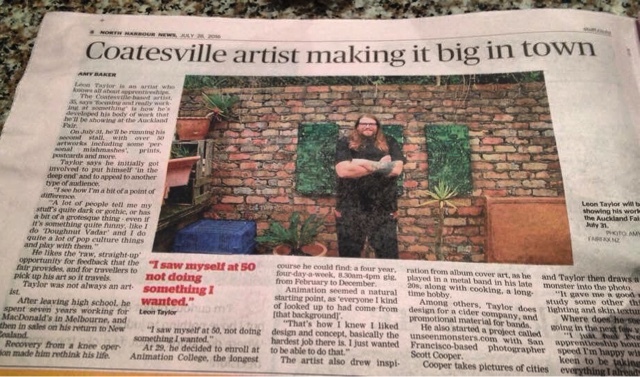 I was fortunate enough to have an interview in the local paper talking Art, Inspiration and all things that motivational. Thanks for the interview! I have attached the link below so you can check it out. I am really pleased to be in the local paper and their interest in Artists, little goal achieved! Morton is really a beautiful place and so is this red flower.I fell in love with the beauty of red.Red is indeed a symbol of life and happiness.